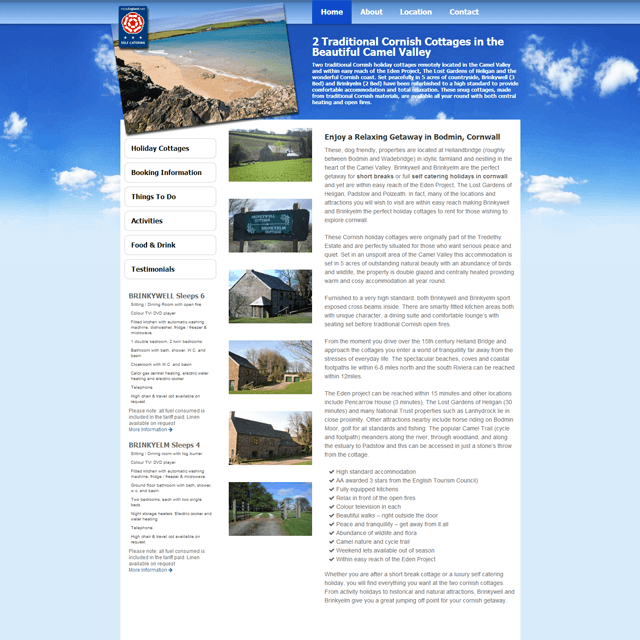 Brinkywell and Brinkyelm are privately co-owned self catering cottages in Bodmin, located near the harbor town of Padstow these traditional Cornish cottages are ideally situated. Purchased by the current owners in Tredethy, Bodmin they have been renovated to a high standard and are managed from Dursley in Gloucestershire. Both cottages are regularly used by the owners and their families; consequently they are extremely well looked after and maintained.